Federal Polytechnic, Bida Resumption Date for Commencement of First Semester Academic Activities for 2018/2019 Academic Session. This is to inform all students that the Academic Board at its meeting held on Wednesday, 20th February, 2019 has approved Thursday, 21st February, 2019 as resumption date for First Semester of 2018/2019Academic Session. Students are expected to arrive campus on the above said date as lectures commence on Monday 25th February, 2019. 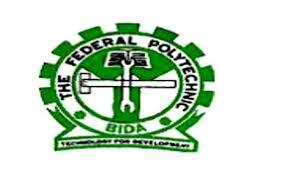 Recommended: Federal Polytechnic Bida Academic Calendar Schedule 2018/2019.